This course is designed to introduce DNS principles as they relate to exercise and fitness training. Etiology of musculoskeletal pain, in particular back pain, is often evaluated from an anatomical and biomechanical standpoint, and the influence of external forces (i.e. loading) acting on the spine. What is often missing is the evaluation of internal forces induced by the patients own musculature. The stabilizing function of muscles plays a critical and decisive postural role, which in turn, is dependent on the quality of central nervous system (CNS) control. 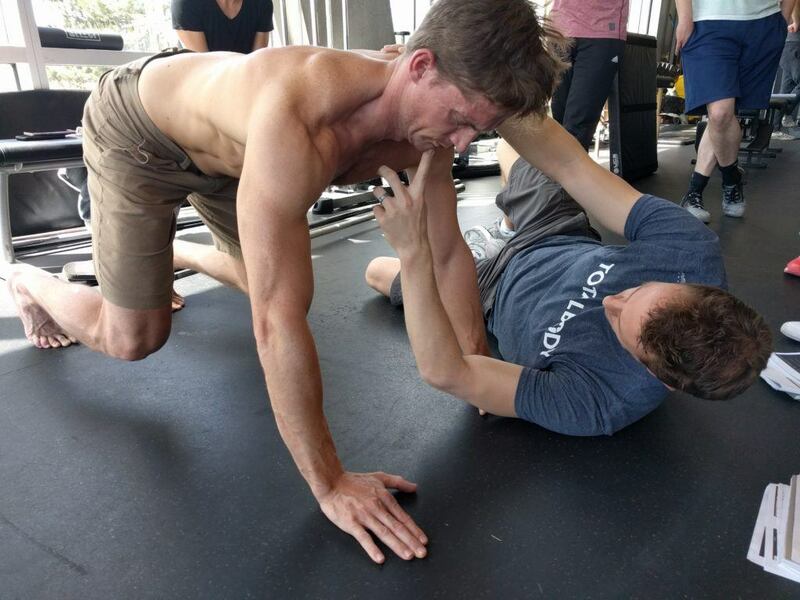 Kolar's approach to Dynamic Neuromuscular Stabilization (DNS) is a new and unique approach explaining the importance of the neurophysiological principles of the movement system. The DNS encompasses principles of developmental kinesiology during the 1st year of the life; these principles define ideal posture, breathing stereotypes and functional joint centration from a neurodevelopmental paradigm. DNS presents a critical set of functional tests to analyze the quality of functional stability of the spinal and joint stabilizers, and to assist in finding the key link of dysfunction. The stabilization training approach is based on ontogenetic global postural-locomotor patterns. The primary goal is to optimize distribution of internal forces of the muscles acting on each segment of the spine and/or any other joint. In the DNS training concept, client education and participation are imperative to reinforce ideal coordination among all stabilizing muscles to achieve the best sport performance. DNS Exercise Course attendees are advised how to start the training of ideal postural-stabilization function in basic, i.e. the easiest, positions and how to progress with the exercise by using more challenging positions, applying resistance and/or by adding limb movement to meet clients specific requirements and sport goals. Target audience: Clinicians, trainers, coaches, body work therapists, exercise physiologists & kinesiologists. Please contact the local organizer if you are part of a group that is not listed. Describe the relationship between development during the first year of life and pathology of the locomotor system in adulthood. Discuss and demonstrate?the basis of human movement: support, stepping forward, the biomechanics of motor function, the verticalization process & functional joint centration in postural development. 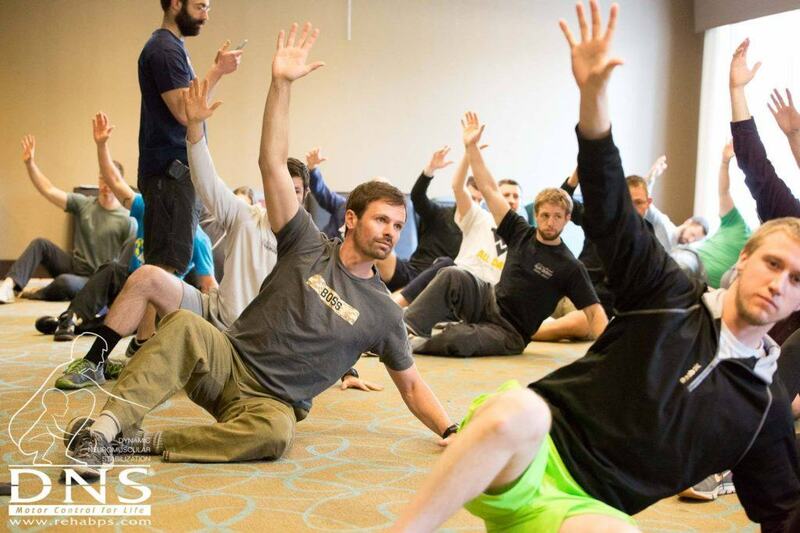 Integrate corrective exercises based on the DNS functional tests and developmental positions in?supine,?prone, low kneeling, oblique sit, and quadruped?global movements. The nervous system establishes programs that control human posture, movement and gait. This ?motor control? is largely established during the first critical years of life. Therefore, the ?Prague School? emphasizes neurodevelopmental aspects of motor control in order to assess and restore dysfunction of the locomotor system and associated syndromes. The Prague School of Rehabilitation and Manual Medicine was established by key neurologists/physiatrists, all of whom were giants in the 20th Century rehabilitation movement: Professors? Vaclav Vojta, Karel Lewit, Vladimir Janda, and Frantisek Vele. Based upon the groundbreaking neurodevelopmental and rehabilitation principles described by these mentors, Pavel Kolar has organized the next generation of clinical protocols that are designed to restore and stabilize locomotor function. This new rehabilitation approach is called Dynamic Neuromuscular Stabilization (DNS). Frustrated by the lack of practical knowledge and skills provided in his Exercise Science undergraduate degree, and inspired by the extra-curricular conferences and courses he had previously attended, Dr. Maxwell began facilitating workshops and seminars that featured practical, hands-on content, taught by industry leaders. This is what led to the formation of Somatic Senses Education. Since 2003, Dr. Maxwell has organized well over 250 continuing education courses throughout Canada featuring industry leaders such as Lorimer Moseley, Donald Murphy, Stuart McGill, Pavel Kolar and the outstanding Prague School Physios, Clayton Skaggs, Brett Winchester, Michael Shacklock, Dale Buchberger, Jack Miller, Clare Frank, Robert Lardner, Mark Finch, Charlie Weingroff, and many more! His mission is simple: provide evidence-informed, practical and world-class continuing education featuring industry leading clinicians, educators, and researchers, with the ultimate goal of improving the standards of patient care! There are no prerequisites to attend this course. Registration price includes Prague School fee, a value of 80 Euros. Snacks and coffee breaks included (Lunch is on own). Electronic Hand-outs provided. A Certificate of ATTENDANCE will be awarded by local instructor.